Htc one mini is geared up to hit the markets soon. 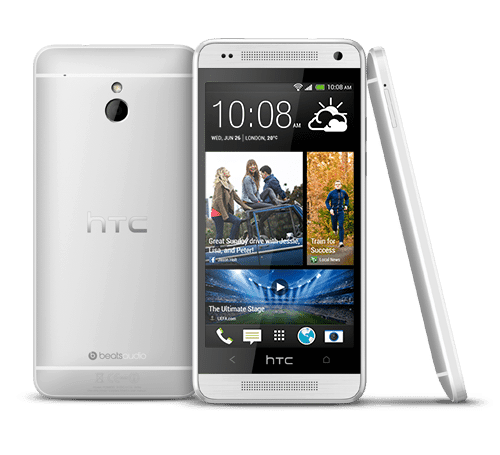 Here we posted the features and the comparative study between HTC one and HTC one Mini. The taiwanese smartphone maker is preparing to release a smaller version of its flagship One handset this summer. The new model features a 4.3-inch screen, compared with 4.7 inches for the original version and will go on sale by August. The device will probably have a less-powerful Qualcomm Inc. (QCOM) processor and lower-resolution screen than the flagship. The smaller version seeks to reclaim market share from Samsung Electronics Co. (005930), the world’s largest smartphone maker which last month unveiled the Galaxy S4 mini a less-powerful version of the flagship handset released in April. The differences between one and mini is reduction of screen from 4.7 to 4.3 inch. It comes with dual core processor and 2gb ram. The regular version has 32gb internal memory which has been cut down to 16gb. The price of the HTC One Mini would be 18-22k, and the availability of HTC one Mini in the market will actually create a stiff competition with samsung Galaxy S4 mini. Previous articleIs 3D hologram Technology in IRON MAN movie is Possible in Reality?